Summer in Barcelona is almost intolerable when it comes to surviving the heat. Luckily the locals have developed several nifty ways to deal with the temperatures! For example, going out in the noon hours is a generally awful idea, however, the public squares of the city come alive once the sun sets down. This is Pub Crawl Barcelona, and this is our list of top public squares to hang out at in the city! First off, squares are called plaças (or plazas) here. 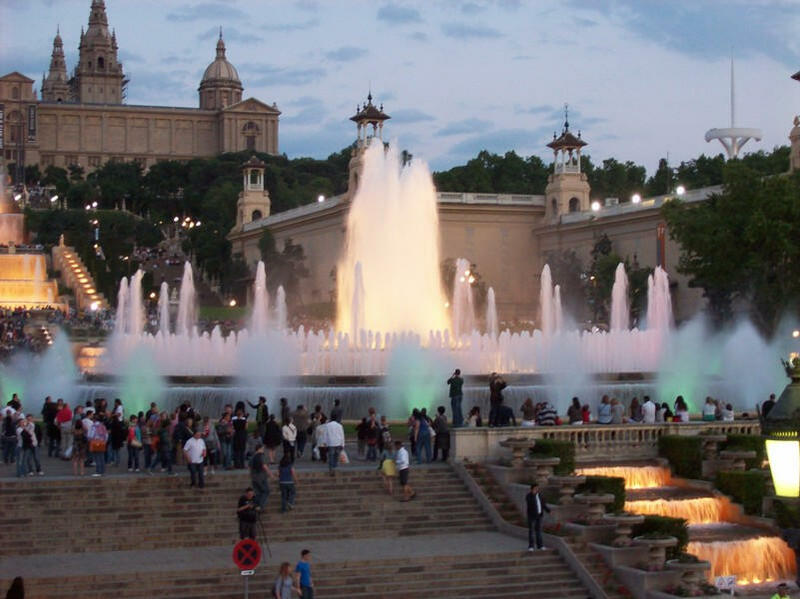 Plaça d’Espanya is dominated by a whirling roundabout and is surrounded by colorful architecture. Come here for the history and architecture, but stay for a coffee or a drink! Plaça de Sant Jaume has a rich history dating back two thousand years, as even the Romans liked to hang out in this area! The forum romanum was here, meaning life and public discussion is in the nooks and cracks of every wall and building. Now the square is home to the town hall, among others, and a stunning Gothic-Renaissance courtyard. This is the so called ‘Gothic quarter’ of the city, and understandably so, as several majestics buildings can be found around here. If you are around, make sure you visit the Cathedral of Santa Eulàlia, Church of Santa Maria del Pi, or the Portal de l’Àngel. Make sure you bring your best camera, as all of these sights make truly wonderful memories! Oh and, just an FYI, pub crawl Barcelona is also around here! Remember, we have parties every day of the week with a colorful and fun international crowd!